Changing Service Providers in Your School-Does TUPE (Transfer of Undertakings) Directive Apply? Whether the changing of service providers and the awarding of service contracts to a new contractor is covered by the TUPE regulations or not will depend on the particular facts of the situation. 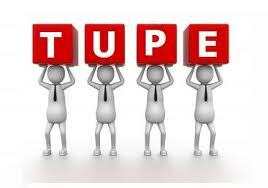 Firstly, it is worth remembering that TUPE covers the transfer of undertakings. To be a transfer of an undertaking it must relate to a stable economic entity whose activity is not limited to performing one specific works contract. Such a transfer would only come within the terms of TUPE if it included the transfer of a body of assets to the new contractor or a transfer of a ‘major part of the workforce’ performing the function. The mere loss of a service contract to a competitor cannot by itself indicate the transfer comes within the meaning of the TUPE directive. Because the original undertaking does not cease to exist and has merely lost an asset. Whether employees have been taken over by the new contractor. The European Court of Justice has held in the Suzen case that a contract for a service provided by an old contractor being transferred to a new contractor does not necessarily mean that an economic entity has been transferred. The findings in the Suzen case have been generally applied in Ireland by the Employment Appeals Tribunal (EAT). This case concerned the contract for the cleaning of Balbriggan Garda Station. The cleaning contract was lost to CPS Cleaning Services Limited. No tangible assets were transferred between Noonan Cleaning and CPS Cleaning. Cannon turned up for work with CPS cleaning who sent her away and did not employ her. The EAT held that there was no transfer of undertaking as it applied the principles of Suzen. Sheils and the other claimants were employed by ISS Contract Cleaners ltd. ISS lost the cleaning contract which was won by Noonan Cleaning. Noonan cleaning refused to employ the claimants. ISS Contract Cleaners Limited accepted that the employees had no right to transfer to Noonan because no assets had transferred between the two companies and were entitled to redundancy from ISS. The EAT agreed. Mrs. Collins was employed by Excel Property Services Limited who were awarded the contract for cleaning the school by the Board of Management of the school. The Board put the contract out to tender and Excel Property Services Limited were unsuccessful. Mrs. Collins and four other employees transferred to the new cleaning contractor. However, they felt that the machines provided by the new contractor were not of the same standard as previously provided with Excel. They terminated their employment and Mrs. Collins claimed redundancy from Excel. Excel claimed there was no liability as it was a transfer of undertaking and the liability lay with the new contractor. The question was: was this a transfer of undertaking? The Court recognised that there would not be a transfer of undertaking if there was no transfer of significant tangible or intangible assets. However, in this case Mrs. Collins was held to have transferred under the Acquired Rights Directive and as a result there was no case against Excel. In addition, the EAT held that there was not a redundancy situation as the school still needed to be cleaned. This case involved the transfer of a security contract at the Athlone Accommodation Service. The EAT again held, inter alia, that a changeover of contractors per se does not amount to a transfer of undertaking unless there is also a transfer of significant tangible or intangible assets. The TUPE regulations may apply if there is a transfer of ‘significant tangible or intangible assets’ or a transfer of a ‘major part of the workforce’ performing the function. Each case will be decided on its merits and facts. However the mere transfer of a right to perform a service or function does not, of itself, mean the transfer is covered by TUPE. Attention Employees: Have Your Rights Been Infringed or Ignored? Attention Employees: Have Your Employment Rights Been Ignored? 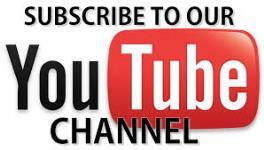 Family Law Problems for Schools in Ireland-Who is Entitled to Information about the Child? Are You Spending Too Much Time Drafting Employment Contracts?